Proboscis Monkeys can only live in Borneo and need large protected areas to survive. Borneo loses forests equivalent to an area of about a third of Switzerland every year, or at a rate of 3.2 million acres, much of it to feed the voracious appetite for timber in the West and Asia. Indonesia’s forests are being destroyed at a rate of 4.9 million acres a year. It is time to play hard! Every fan of this website can make the difference. Join one or more of these roles. Proboscis Monkeys will love you! Become an Activist! We found five celebrities that have the power to change Proboscis Monkeys destiny. Probably our ambassadors still don’t think about the “large nose monkeys” and their extinction risk is far from their priorities. Our activists have the mission to get the attention of these 5 leaders and let them know they have been nominated “ambassadors” by the Proboscis Monkeys. Activists will keep the ambassadors motivated to complete their efforts. 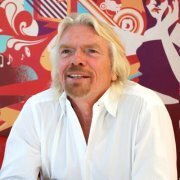 Richard has created the Virgin global brand. He is one of the best businessmen in the world and very active in the “green” economy and conservation. With the energy of our activists we hope Richard will fall in love with the Proboscis Monkeys and he becomes the master of the ambassadors’ group. 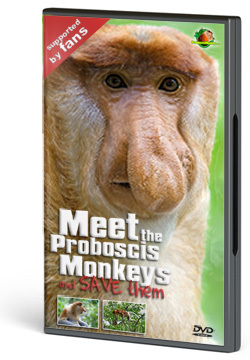 Hey Richard, do you know you have been nominated master ambassador of the Proboscis Monkeys? We really hope you join this huge challenge. Let’s post a shot wearing the big nose! Start posting it every day to the Richard’s Facebook page and ask your friends to do the same. Keep going! 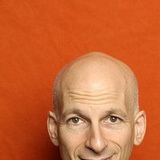 Seth is the most influential marketing guru. He is a best sellers author, a prolific blogger and he has a profound understanding of the human society and the forces that lead people to do great things. With the support of our activists we hope Seth will join the Proboscis Monkeys Project becoming the marketing chief of the group. Hi Seth, do you know you have been nominated chief marketing officer for the Proboscis Monkeys? We really hope you join this huge challenge. Let’s post a shot wearing the big nose! Start posting it every day to the Seth’s Facebook page and ask your friends to do the same. Keep going! 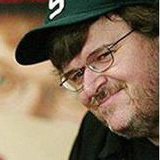 Michael is an acclaimed filmmaker and activist. King of ambush journalism he knows how to address uncomfortable subjects to show people how things are. With the dedication of our activists we hope Michael will join the Borneo conservation challenge and becomes the Proboscis Monkeys reporter. Hey Michael, do you know Proboscis Monkeys ask you to make a documentary about Borneo situation? We really hope you join this huge challenge. Let’s post a shot wearing the big nose! Start posting it every day to the Michael’s Facebook page and ask your friends to do the same. Keep going! Ashton is a famous actor and producer. 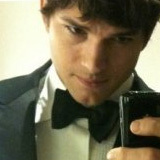 He is a point of reference for the younger generations and has an incredible number of online fans around the world. With the work of our activists we hope Ashton will become friend of the Proboscis Monkeys and make the Project more cool and viral. Hey Ashton, do you know Proboscis Monkeys ask you to become their ambassador to have a chance to survive? We really hope you join this huge challenge. Let’s post a shot wearing the big nose! Start posting it every day to the Ashton’s Facebook page and ask your friends to do the same. Keep going! 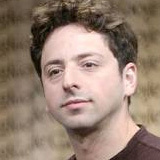 Sergey is the co-founder of Google. He leads a technology that is part of daily human life, but he is also working to solve energy and climate problems. With the help of our activists we hope Sergey will join the Proboscis Monkeys Project assuming the technology leadership. Hey Sergey, do you know Proboscis Monkeys ask you to become their technology leader? We really hope you join this huge challenge. Let’s post a shot wearing the big nose! Start posting it every day to the Sergey’s Google profile and ask your friends to do the same. If you have some friends working at Google is fantastic. Keep going! Become a Supporter! If you can donate even a small sum for one of our visibility projects do it now! If you know someone who can make a donation let them visit this site soon. Make our projects happen and be proud! Documentaries on Proboscis Monkeys dating back 15+ years ago and do not reflect the current situation that poses a serious threat of extinction. Make it happen the first documentary made with the support of fans of a species threatened with extinction! With your donation you can support the production of a new documentary about the Proboscis Monkeys that will be filmed in Borneo. We must collect a budget of $ 12,000 to cover the living costs of a small video crew of two or three volunteers. These costs include flights to reach Borneo, accommodation and meals, internal transfers, services like renting helicopters for aerial shots, guides etc. Should we promote ourselves as a brand to get attention? Television still matters. So imagine a commercial on MTV that makes people aware of the risk of imminent extinction of the Proboscis Monkey and promotes… actions. We can buy advertising slots at MTV and make Proboscis Monkeys visible to a wide and active audience. With your donation you can support an advertising campaign at MTV channel. If you are a director or a copywriter you may also contribute with your creative ideas.